Gao, H. (2012). 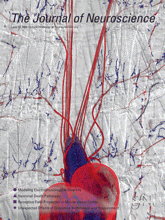 Stereotaxic Injection of LPS into Mouse Substantia Nigra. Bio-protocol 2(8): e153. DOI: 10.21769/BioProtoc.153. Gao, H. M., Kotzbauer, P. T., Uryu, K., Leight, S., Trojanowski, J. Q. and Lee, V. M. (2008). Neuroinflammation and oxidation/nitration of alpha-synuclein linked to dopaminergic neurodegeneration. J Neurosci 28(30): 7687-7698. Stereotaxic injection is an attractive approach for studying genetic, cellular and circuit functions in the brain. Injection of anatomical tracers, site-targeted lesions and gene delivery by recombinant adeno-associated viruses and lentiviruses in mice are powerful tools to study nervous system development and disease mechanisms. Stereotaxic injection of LPS or 6-hydroxydopamine has been used to establish animal models of Parkinson’s disease, the most common neurodegenerative movement disorder. Importantly, this protocol allows the manipulation of gene expression in the targeted rodent brain regions and even targeted cell types or a subpopulation of cells in the injected region at any postnatal developmental stage up to adulthood. Nembutal 50 mg/kg intraperitoneal injection. Buprenorphine, 0.1 mg/kg subcutaneous injection given at the time of surgery. Clip hair from the top of the head. Decontaminate skin with betadine followed by 70% ethanol. Apply an ocular lubricant to prevent drying of the eyes. 3.0 mm posterior to the bregma. 1.3 mm lateral to the midline. 4.7 mm ventral to the surface of the skull. Note: Differences in mouse age and body weight might require an adjustment to the coordinates for the injection. Stabilize the head of the mouse in the stereotaxic frame by using the ear bars. It is critical for the head to be positioned correctly by the ear bars. This can be verified by moving the nose right to left and the eye on the opposite side will squint. Note: There is no need to puncture eardrums for proper positioning. Make a 5 mm incision in the midline of the scalp. To prevent bleeding, gently scrape away the periosteal connective tissue that adheres to the bone with the blunt edge of the scalpel handle. The cranial sutures, bregma and lambda will be identified and a hole will be drilled with a small dental drill in the parietal skull plate (coordinates to be determined by stereotaxic atlas of rat brain). The hole will penetrate the full skull but not the dura mater. The dura is a very tough membrane but can easily be sliced with a sharp hypodermic needle. A pre-loaded 30 g a microinjection syringe attached to the microinjection apparatus is slowly inserted into the brain to predetermined depth through the opening in the skull. The injection will be conducted over a period of 2 min and controlled by a motorized microinjection pump. Repeat step 4 to step 6 to injection 2 µl of sterile normal saline (0.9%) into the opposite side of the brain. After the injection, the needle will be kept in place for 2 min. Remove the needle slowly out of the brain. Close the skin incision with autoclips or silk suture. Monitor animal until recovered from anesthesia. Monitor incision daily for any discharge, swelling or dehiscence. If animal appears unthrifty, inactive or reluctant to move, contact the Veterinary Medicine Section immediately. Authclip/suture removal in 10-14 days. At desired time points, rat will be anesthetized and transcardially perfused with PBS, followed by PBS-buffered 4% paraformaldehyde for Immunohistochemistry. LPS prepared as a stock solution of 5 mg/ml in sterile normal saline (0.9%) and stored in small aliquots at 4 °C. This protocol has been developed and improved over the years by various researchers in Dr. Hong’s lab, especially Dr. Bin Liu (Gao et al., 2008). Are there any detailed instructions for inserting the ear bars in the mouse ear canal? Also, do you have a photo of your experimental set-up? stereotaxic inj-1: from "Retrovirus-mediated single-cell gene knockout technique in adult newborn neurons in vivo". Tashiro,Zhao&Gage, Nature Protocols 1, 3049 - 3055 (2007). Stereotaxic inj-2: http://play.psych.mun.ca/~smilway/surgery-frame.html . The picture will show up by clicking "position the tip of the drill directly over Bregma." I used the KDS310 (Nano Pump) from KD Scientific Inc., which is used exclusively with micro syringes.